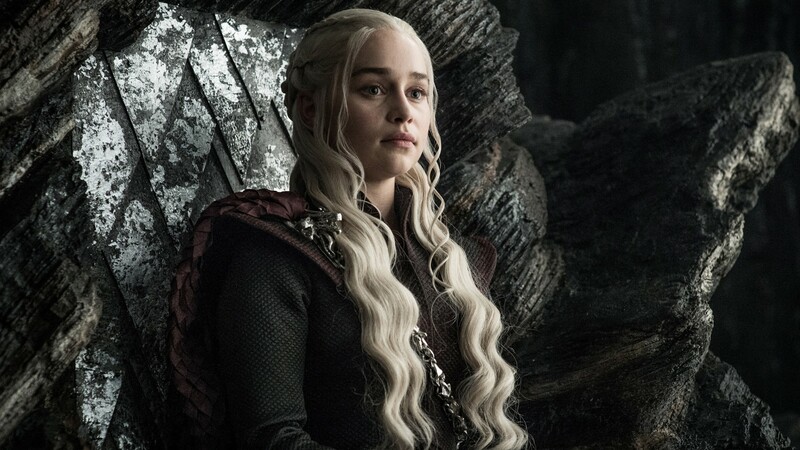 Don’t hold your breath for any dragons in the upcoming Game of Thrones prequel. In a new interview with author George R.R. Martin, the timeline for the tentatively titled The Long Night was clarified as “only” 5,000 years before GoT — but, sadly, still far enough back to preclude the Targaryens. Originally, it was speculated that the new series would be set 10,000 years before the events in GoT. However, even shifting that timeline up by 5,000 years doesn’t make a difference when it comes to the hallmark of the House of Targaryen: dragons. These creatures weren’t tamed by the Valyrians until after the Long Night, according to Westeros.org. “While Westeros was recovering from the Long Night, in Essos, the peaceful sheep-herding folk of the Valyrian peninsula find dragons lairing in the Fourteen Flames, an immense chain of volcanoes extending across the neck of the peninsula,” the website reads. So, in order for dragons to make an appearance in the prequel The Long Night, the show would have to either reveal the dragons as having actually been discovered (but clearly not tamed) prior to their contact with the Valyrians or introduce them near the close of the prequel series. While the prequel may not have dragons, it will have Naomi Watts, who will reportedly be playing a “charismatic socialite hiding a dark secret,” per Deadline’s announcement of her casting in October. And joining her in an as-yet-unnamed but “key” role is Poldark star Josh Whitehouse. HBO president of programming Casey Bloys confirmed to TV Guide that the new series is slated to begin shooting in 2019.